Recently, I was reading through the Healthy Indoors magazine and came arcross this great article by Jefferey C May. Although I take many air and dust samples in my indoor air quality investigations, I’m going to play the Devil’s Advocate in this article and discuss what I believe are the weaknesses and pitfalls in many areas of mold testing. First, air samples alone won’t identify the location of mold growth. Sometimes the source can be something minor, such as a small patch of mold on a bathroom wall or ceiling. The results of air testing for mold spores can be falsely reassuring. 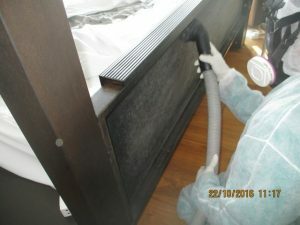 Let’s assume that a carpet in a finished basement playroom is contaminated with mold that is subsisting on the dust captured in the carpet fibers. If someone takes an air sample in the room without walking across the carpet, the air sample will seem fairly clean. But if the person happens to walk across the carpet first and then takes the air sample, the results will tell a very different story. 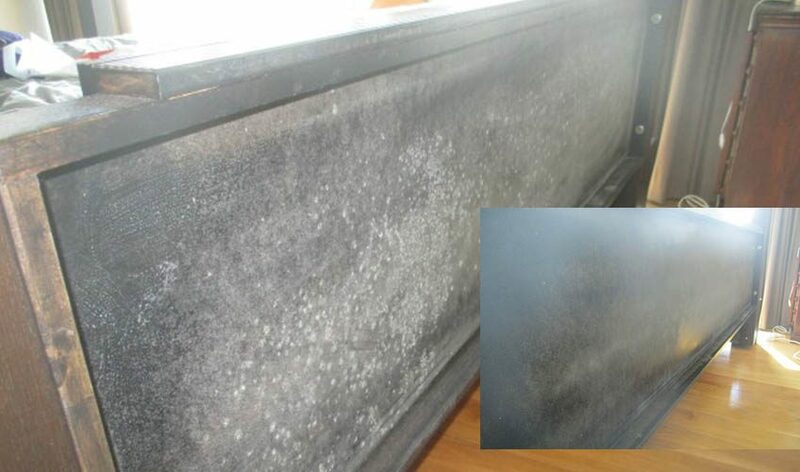 Dust trapped in HVAC systems or on baseboard heating convectors can be contaminated with mold growth, which an air test may not detect if the HVAC system is not running or the dust on the convectors is not disturbed. Then the building occupant who may be suffering health symptoms is left without a remediation plan, which could be as simple as cleaning the baseboard convectors or as extensive as cleaning the HVAC system or replacing the air handler and even some of the ducts. The person doing the mold testing has to know what he or she is doing. Some testers will sample in a mold-contaminated basement first, and then go around and sample other areas of the building – all the while carrying spores on his or her clothing from the basement that can be picked up in samples taken in other rooms. Then the lab results could suggest that the mold problem is wide-spread, rather than in just one location. Lab results can be inaccurate. In a recent study, the authors (Robertson L. and Brandys, R.) sent identical spore-trap samples to seven different labs. At each lab, the most experienced microscopist examined 100% of the samples (most analysts routinely look at only 25% to 50% of a sample). Spore counts for identical types of mold differed in some case by as much as a factor of 10, and only 50% of the labs successfully identified Pen/Asp (Penicillium or Aspergillus) spores—the most common mold growth associated with damp buildings. Many samples are culturable, meaning that they gather living spores, which labs then count. Dead spores are still allergenic, though, so even if the mold counts in a culturable sample are low, building occupants may still be experiencing exposure to allergenic spores. The way in which testing data is presented can be confusing and even misleading. Someone with mold allergies might be relieved if the sam­pling analysis states that the mold count is high­er outdoors than indoors. But exposure to indoor mold spores tends to be constant, whereas ex­posure outdoors tends to be more seasonal and weather-dependent. And in modern life, many of us spend up to 90% of our time inside buildings, even when we exercise, so exposure to mold growth indoors is a more constant threat than ex­posure to mold growth outdoors. Most labs do not differentiate between individ­ual mold spores and chains or clusters of spores, the indoor presence of which indicates indoor growth. Chains and clusters of spores outdoors are usually broken up by wind turbulence, so a count of 12 individual spores outdoors is not the same as a count of 12 spores indoors, if those indoor spores are in a chain or cluster. Labs also don’t always identify conidiophores —the spore-producing structures of molds. If an indoor sample contains conidiophores, there is ample reason for concern. For all these reasons, the results of mold air testing alone should be greeted with a healthy bit of skepticism. The visual inspection to look for po­tential locations of mold growth, as well as a building’s occupants’ symptoms (where, when, what), always trump mold-spore air-test results. I know it’s odd for me, an IAQ professional, to generally question the usefulness of air sam­pling for mold, since I do air and surface sam­pling myself. But I put more weight on surface sampling, which points the way to locations of mold growth. I tell potential clients as well as my fellow IAQ professionals that identification of the source of an IAQ problem is the goal. Taking a surface sample, therefore (a swab or tape sample) of a stain can be useful. But air sampling for mold by itself need not be undertaken in the absence of a musty smell, spots that could be mold growth, or a building occupant who is allergic to mold and is experiencing symptoms. Sometimes I won’t take samples at all. If someone calls me and asks me to test for mold “to be sure there is no problem,” I explain that such testing is meaningless. Mold can grow within 24 to 48 hours if moisture (spills, leaks, water intrusion, relative humidity over 80%) and a food source (dust, skin scales, spilled food, sawdust) are present. So depending on condi­tions, a basement that is mold free one week can be full of mold growth a few weeks later. Such “clearance testing” therefore does not predict fu­ture conditions. This is why I explain to clients that I test for potential mold problems, rather than for the absence of such problems. If you suspect that there is mold growth in a building where you live and work, and you want to hire someone to test for mold, be sure the person is experienced, and that mold testing is the person’s major profession (and not remediation). Writer of the article – Leo Radford, Managing Director, Envida.